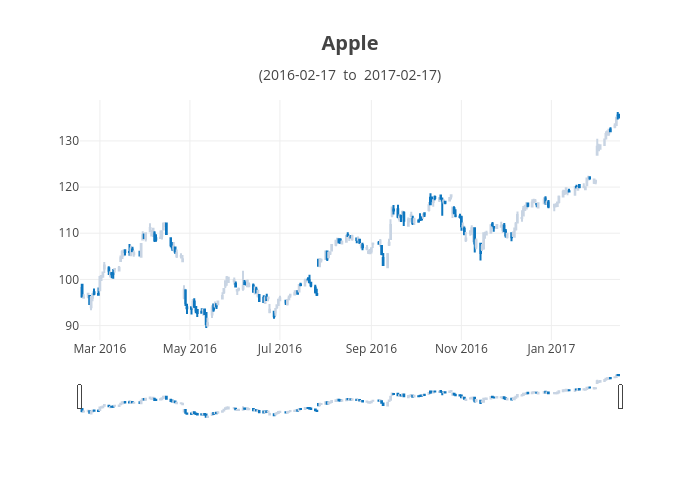 Plotly2_demo's interactive graph and data of "Apple(2016-02-17 &nbsp;to &nbsp;2017-02-17)" is a candlestick; with time in the x-axis. The x-axis shows values from 2016-02-16 12:00 to 2017-02-16 12:00. The y-axis shows values from 86.87000083333334 to 138.87000416666666.